Thank you for your interest in The Big Book Study and Website. Each day in our Big Book Study Group a leader will take you through a section of the Alcoholics Anonymous Big Book. You will find the Big Book itself on this page by chapters as well as a link to the latest edition of AABB. The Big Book Loop is a study group which has as its mission to provide an additional area of recovery and support to COEs who appreciate the AABB,lovingly known as The Big Book. For OA members who want to thoroughly explore the Big Book from beginning to end we would be happy to have you join us. The Recovery Group has a decade of archives which will occupy this space in the future. 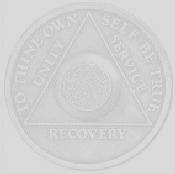 Below are personal stories from the Big Book of Alcoholics Anonymous. The reason we are able to use them online is because the copyright for the First Edition of the AABB has expired. You will find more stories in later editions which aren't available on the Recovery Website because of copyright restrictions.